Bruce Hall is located on the corner of Chestnut Street and Avenue C, Bruce is arguably the most character-rich hall within Housing. 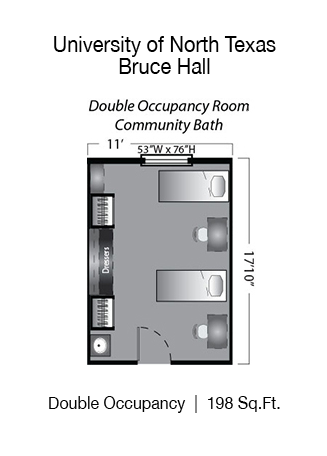 A “standard level” priced hall that houses residents of all classifications and majors, the only thing traditional about Bruce is its architecture. Built in 1946, Bruce is the oldest residence hall on-campus and boasts a history that includes a handful of famous ex-residents, such as Norah Jones and Don Henley. 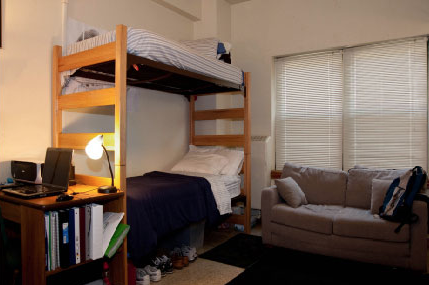 Due to its close proximity to the Music Building, Bruce cultivates a creative environment for all its residents. It is also home to the Jazz Studies and Music Living-Learning Communities.